I hope you all had a happy memorial day weekend! I took a few extra days off to spend some time with family and sneak off to our vacation home in St. George. I was trying to avoid all of the rain that we’ve been getting too, but unfortunately, it rained down south just as much. The forecast is looking up though and I’m hoping it doesn’t change because next week should actually be sunny for the first time in about 3 weeks! With memorial day being the non-official Summer kick off, I can’t wait for the warmer weather so I can hit our local farmers markets again! I usually forget to bring my own tote to store my finds in, but this year I’m covered thanks to today’s post! 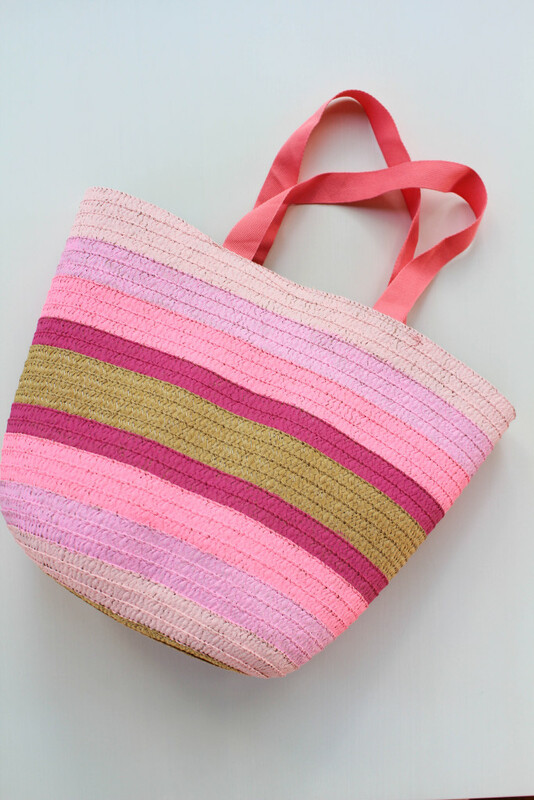 I scored some darling little straw totes bags (for $3 each!) in the Target dollar bins and knew I wanted to jazz them up a bit. 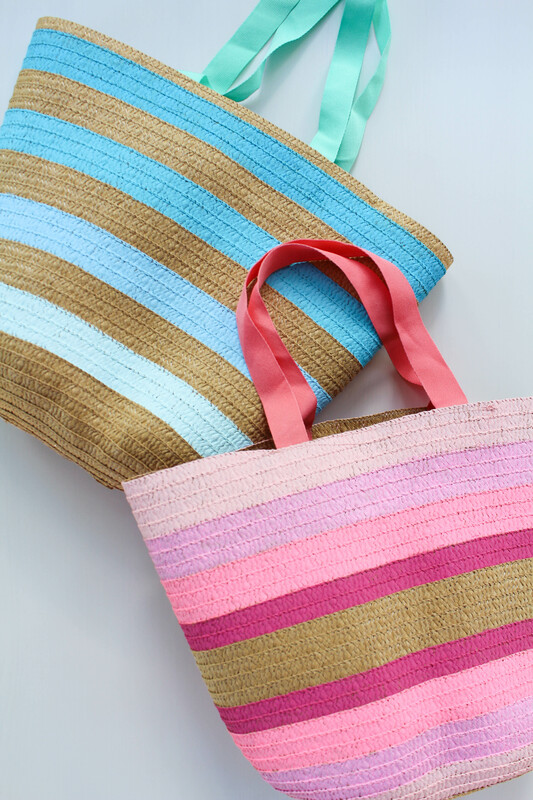 I picked up some acrylic paint in varying shades of the same colors and created these DIY ombre tote bags for under $7! Cheap and so easy to make too! 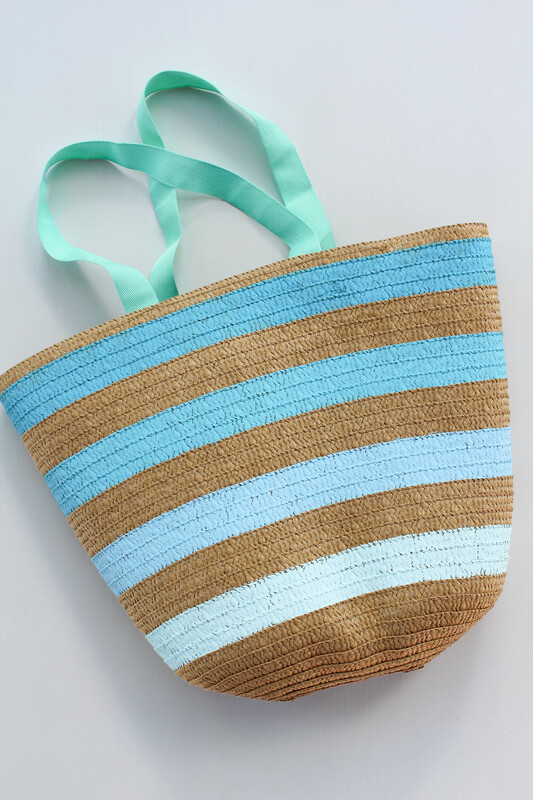 Depending on your tote, you can either choose to use blue painters tape and tape off the sections on your bag that you want to paint or just follow the natural grain of the tote. My tote had “lines” built into it already, so I followed the existing pattern instead of trying to create my own “stripes”. 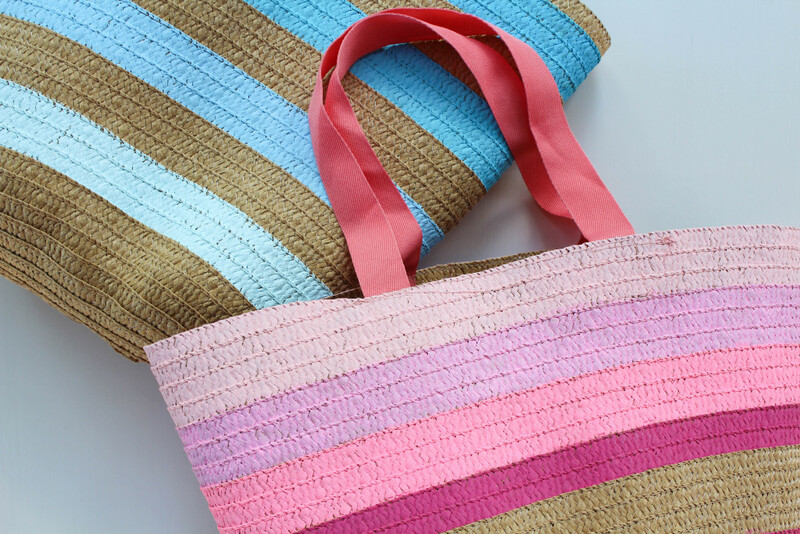 Using your paint, start with your lightest color and paint stripes on your tote. You can make your stripe as thick or as thin as you want. 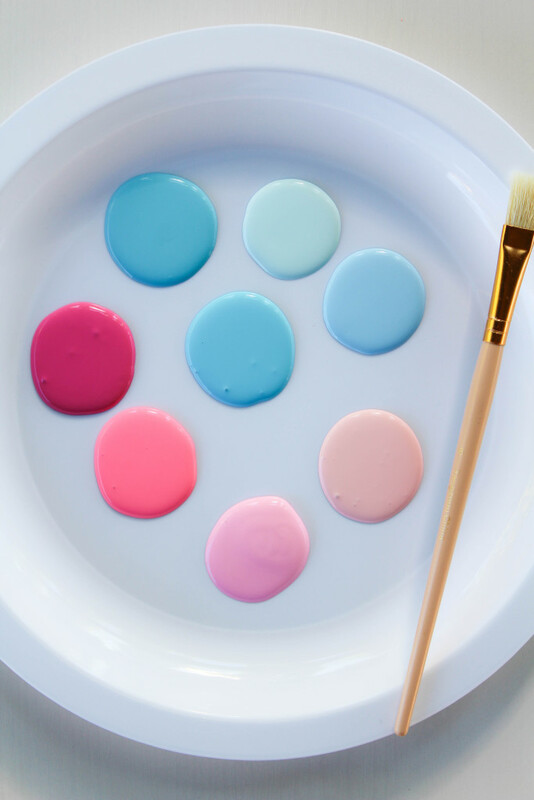 Start with your lightest paint color and work towards using your darkest color last. Your paint colors should go from lightest to darkest in order to create the “ombre” effect. 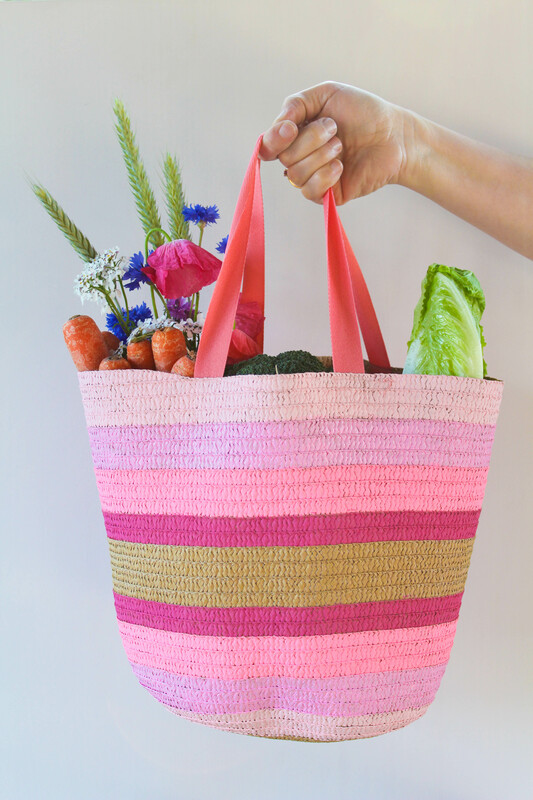 You can get creative with your patterns, like my pink tote, or just go with standard stripes, like the blue one! These DIY ombre tote bags are really easy to make and sure do look cute when finished. Perfect for the beach, the market, or just to run errands around town. 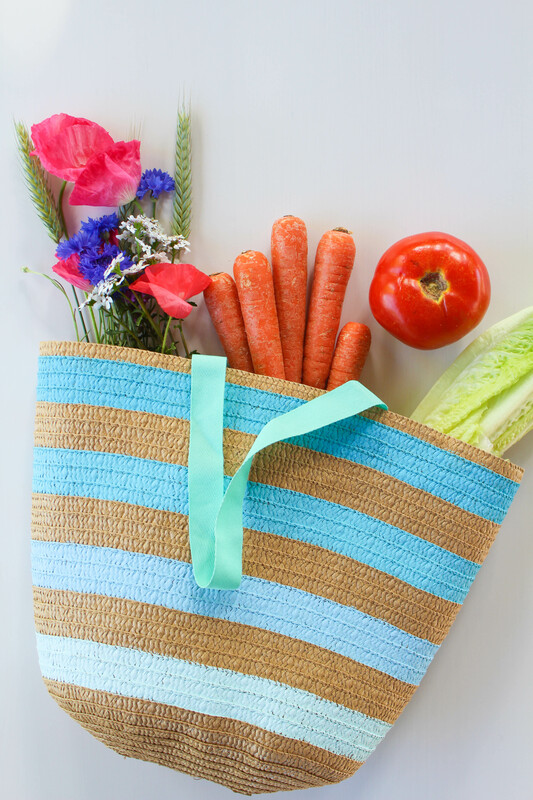 My summer jaunts just got a bit more fab with these cute totes! Fabulous post and great creativity.